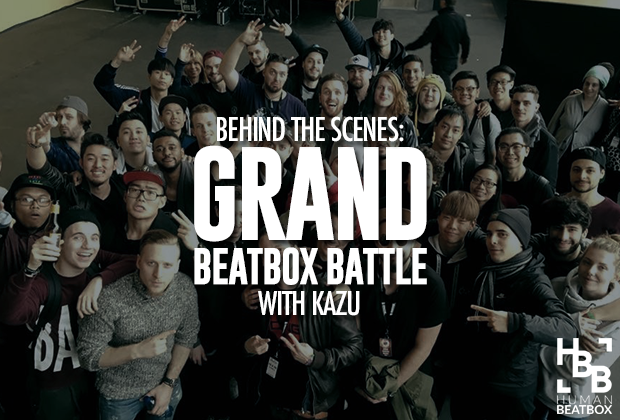 It’s amazing to think that it has already been a year since I’ve written this article about last year’s Grand Beatbox Battle. Last year was a mind blowing experience and this year was no different! Let’s talk GBBB! 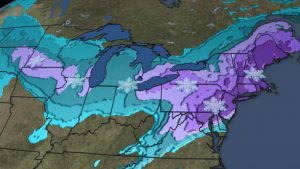 First, I just wanted to mention the nightmare it was for me to fly this year, mostly due to the blizzard that was coming to Connecticut and NYC. It became clear I had to make sure I didn’t miss my flight. Thankfully, Chris Celiz let me stay in Brooklyn with the Beatbox House so that I would be closer to the airport. Lucky for me that I did this, as Connecticut shut down the highways and trains to New York. My flight was a full day before the Beatbox House’s flights and coincidentally the same night as the blizzard. The blizzard turned out to be quite mild in Brooklyn and the day just turned out to be me spending time with the Beatbox House; mostly deli runs and Smash Brothers. As it turned out, my flights weren’t affected and I made it to Basel with little incident. 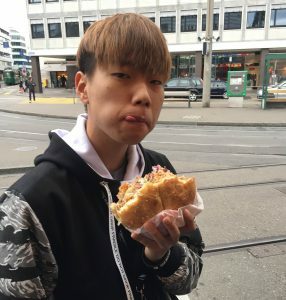 So the first few people I met on my first full day in Basel were two big names in the online scene; Codfish from the YouTube channel formerly known as BunnyF1uff, and the first Asia Beatbox champ (And the HBB Online champs), Piratheeban. It turned out that I arrived when Codfish had already went to sleep. A 25-hour travel from Australia can tire someone out. The next morning, I got to meet this young beatboxer though and it’s always interesting to meet a beatboxer you only know through their YouTube channel, where you don’t see him in most of his videos. As a matter of fact, he only recently revealed his face, and it was for his wildcard for GBBB. As it turns out, Codfish was pretty chill. He was very friendly, excited and jammed till he couldn’t stand anymore. He told me about the Australian beatbox scene and his channel namesake. Piratheeban was exactly what I expected him to be like. Over the year, we at HBB have gotten to know Pira. 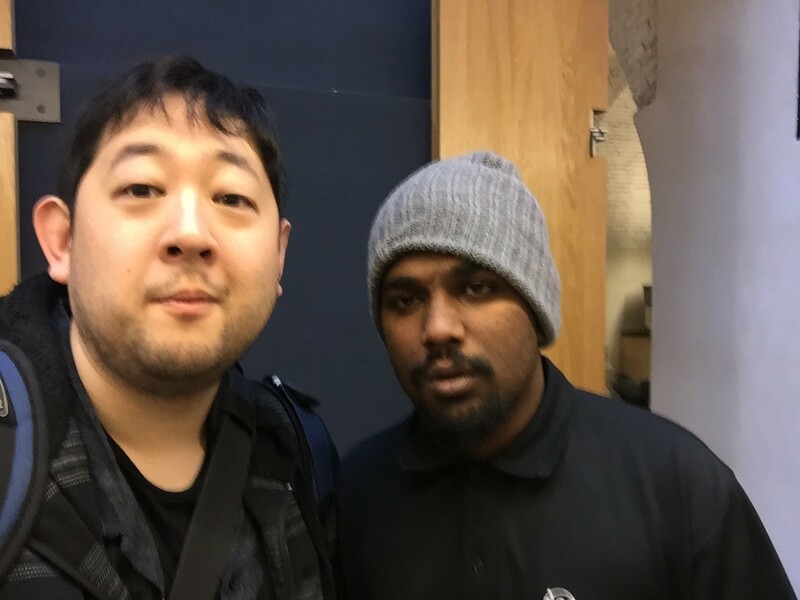 He won our online championship, we wrote an article about him winning the Asia Champs, and we talked over chat. So when I randomly get hugged by a beatboxer in an Olaf (Frozen character) costume, I’m not surprised. 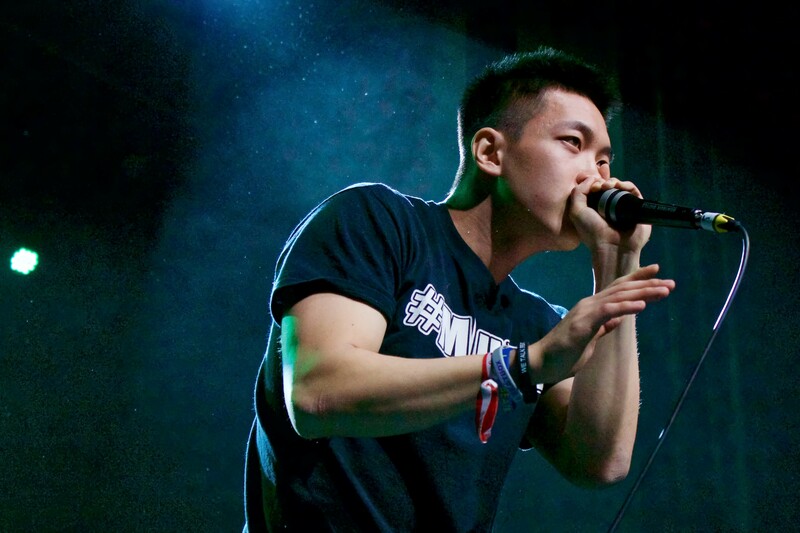 Last year, there was a beatboxer from the US who became everyone’s friend at GBBB; Jonathan Keith, aka KaleidFX aka Recognize. This year was Piratheeban’s year. If you were at Grand Beatbox this year and you didn’t jam with Codfish or get hugged by Piratheeban, you did GBBB wrong. I also met Hiss. 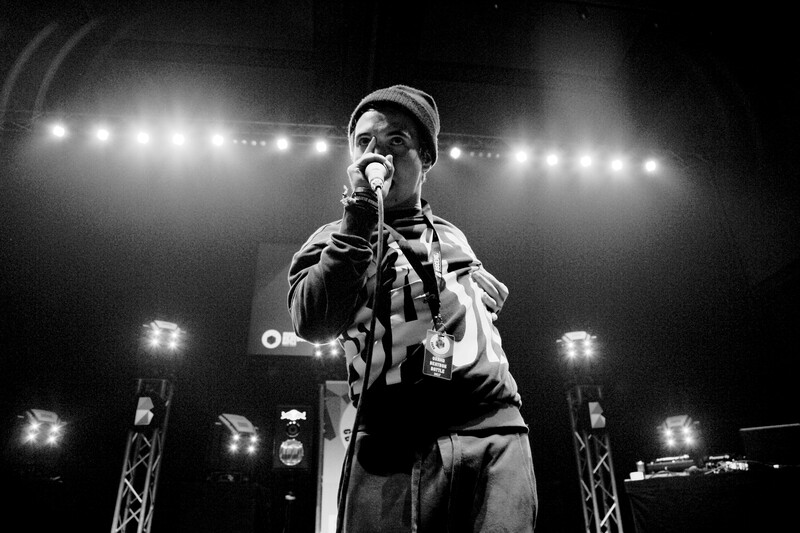 Hiss exploded onto the scene with his amazing wildcard video, which won him a ticket to Basel. His English was solid, sadly my Americanese is bad. He definitely knows the word "Hungry"
This year's Grand Beatbox was held in a new venue, the Voltahalle. 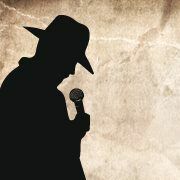 So as a responsible adult in the group (this is me being facetious), Pepouni gave me the responsibility to wrangle all the performing beatboxers, which to anyone who knows beatboxers, is like wrangling cats. What Pepouni also didn’t know is that I’ve never been to New York without taking at least one wrong train. Basel has a great system of trams, albeit all the signs were in Swiss-German. I am proud to say I didn’t take a wrong tram! I did miss one tram because I was on the wrong platform, but I did make it on time and so did these guys! And I didn't lose a single beatboxer on the way! 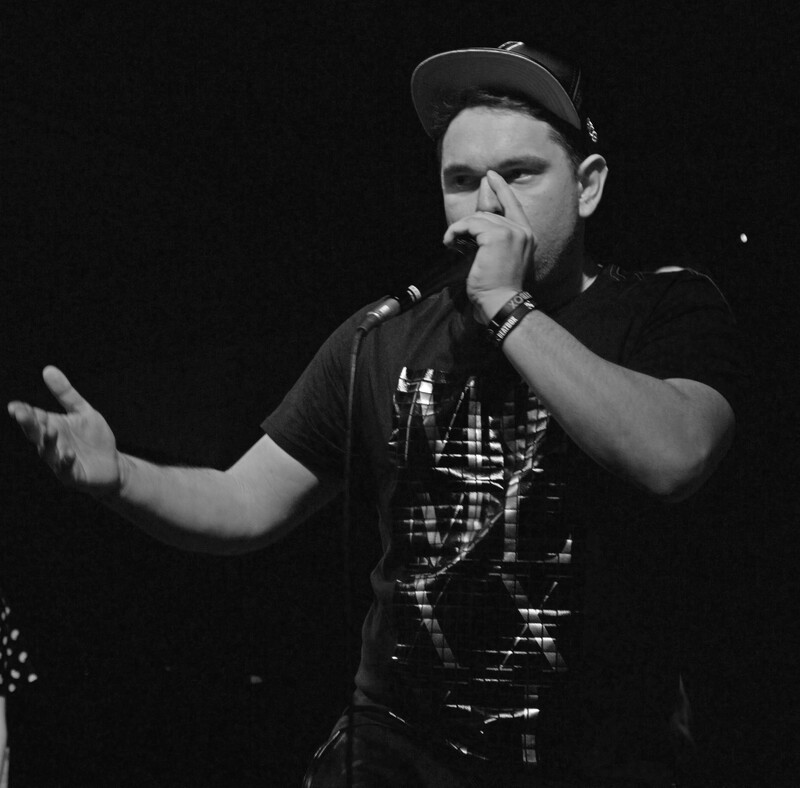 At the end of last year’s Seven-to-smoke, late that night, a conversation with many of the French beatboxers redefined “Alexinho” as a verb. To Alexinho is when you win seven-to-smoke seven wins in a row, a feat only Alexinho accomplished in 2015, then leading him to the title. 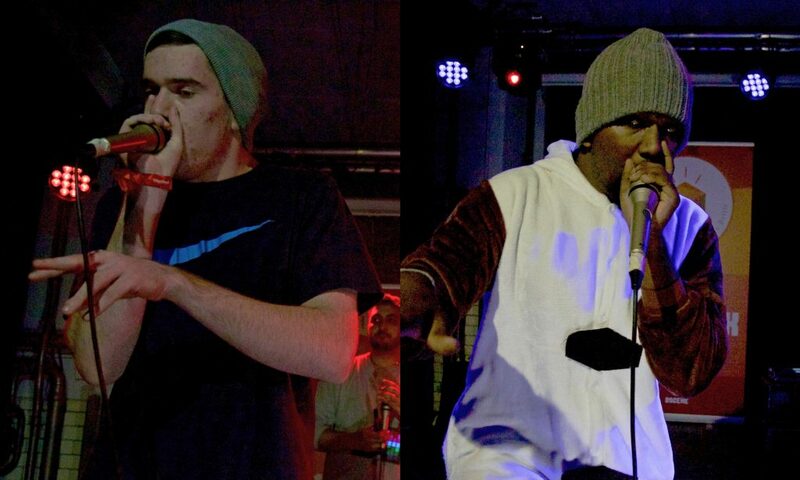 That definition solidified itself when Alexinho Alexinho’d this year’s seven-to-smoke for the second time at Grand Beatbox; beating out 100+ contestants during eliminations and beating seven beatboxing titans in a row! 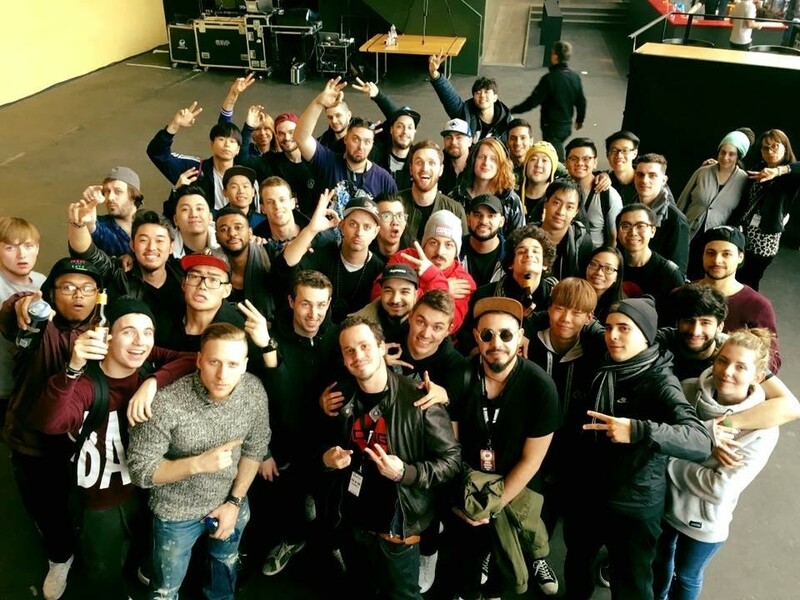 Hanging out with the beatbox family from around the world is something special and that only happens when you bring so many talented beatboxers together. One example was a video Dharni was working on. Dharni wanted a new video for his channel, so he gathered Costik Storm (Alexinho and Efaybee) and Berywam’s MB14 and Wawad to create a little arrangement. You may have seen the final product on Dharni’s channel, but watching these five discuss and practice a new song was incredible. This was a special moment as it was just one of the numerous jams that happened all around the hostel, filling the halls with music and one Italian beatboxer practicing throat bass. More than the battles themselves, it’s these jams that many will never be heard again that make live events memorable. I brought some wristbands and shirts to Basel. 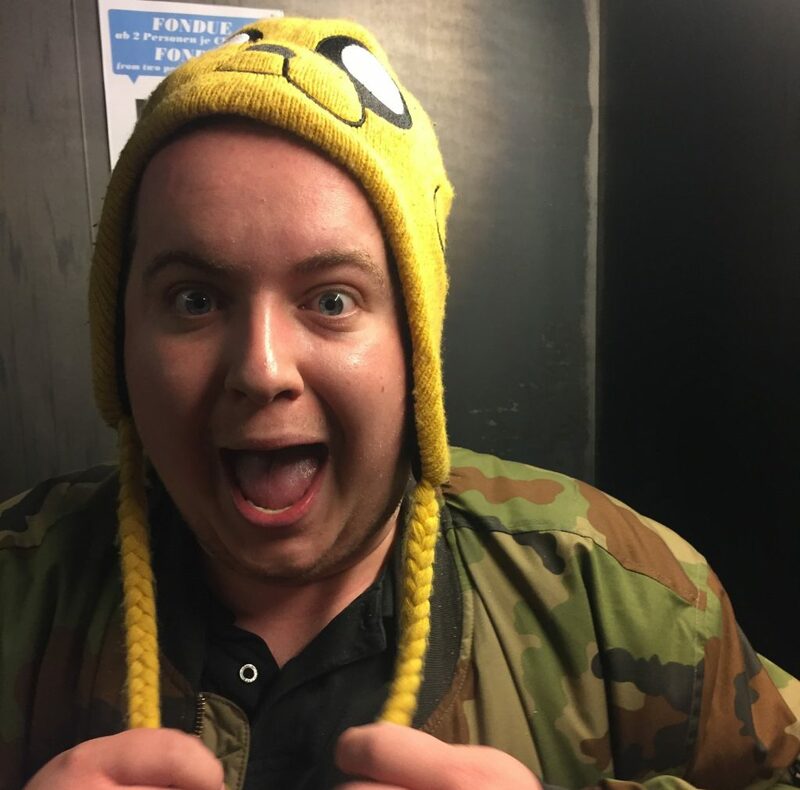 Shoutout to Killian of Dutch Beatbox for helping me distribute the wristbands and for this great shot of him in my Jake hat. Here are some other peeps in the hat! Big shoutout to CNBeatbox for this beautiful gift. This awesome fan will definitely find a home on our studio set! They may have gifted us a fan, but we are their biggest fans! And it smells like lavender too! I left Basel early Monday morning. I was the only person heading to the airport that morning, so there was a good chance I’d get lost (See above stupidity). Another reason it was gonna be hard was that I had a couple of layovers to get back the the States. One nice layover, though, was in Amsterdam. 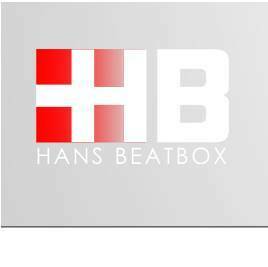 Faya Braz recommended I hit up Hurrakane tha Soundztorm (2013 Dutch Beatbox Champ). I hadn’t seen him since the 2016 La Cup Euro Qualifiers so it was nice to catch up. Leaving Europe was harder this time. 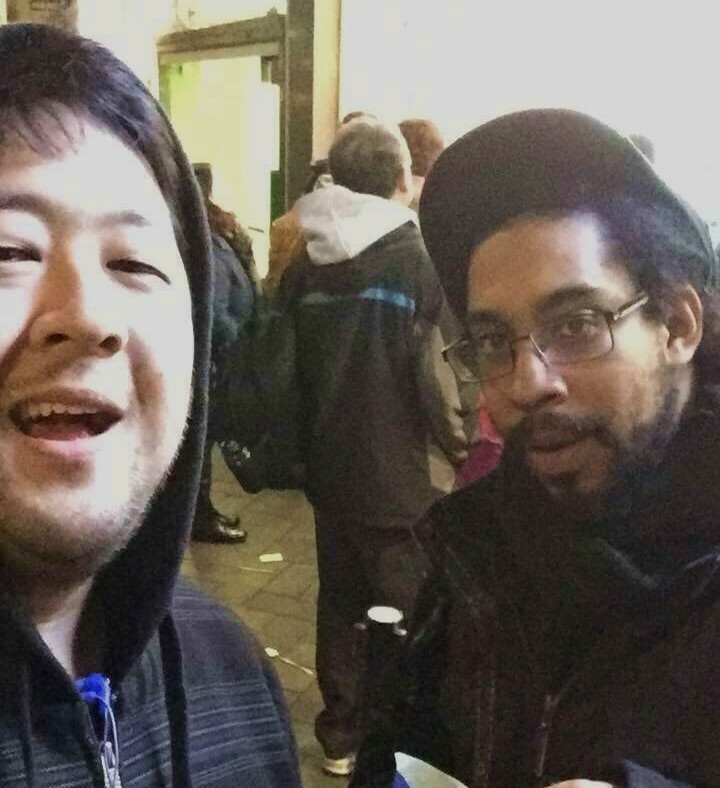 I felt more connected with new and old friends and it felt like leaving my home. 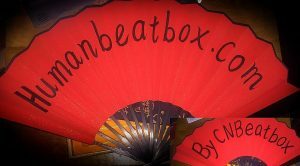 There’s really nothing like the beatbox family.